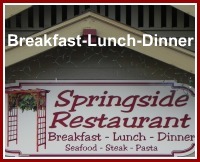 Springside Restaurant in Paso Robles, California is a family owned restaurant with great food, service and friendly smiles. "Mi casa es tu casa", so come on in and enjoy breakfast lunch or dinner in our warm cozy dining room displaying local art, or dine alfresco when weather permits. Springside has a very extensive menu featuring wholesome California and South of the Border Cuisine. Their meals are prepared in our rich family tradition made to be enjoyed for your special occasion or simple get together. 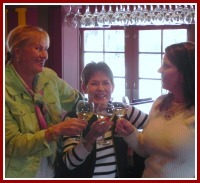 Springside is one of our favorite restaurants in Paso Robles. We love the variety in the memu and we highly recommend everything on the memu. 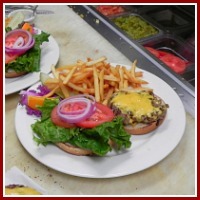 We want to give you a few examples of the fine menu from Springside Restaurant in Paso Robles, California. 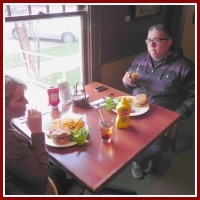 These are just a few examples for the full menu click on this link Springside Restaurant Menu. 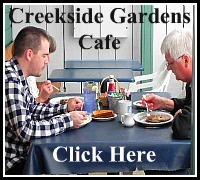 I know you will love Springside Restaurant in Paso Robles, California. Oh...BE SURE TO TELL THEM BOB AND MARY SENT YOU!